There are so many dogs that help us throughout the year. Not just service dogs, comfort dogs, K9 units, or bomb sniffing dogs, but even our own pups who provide us with love and happiness when we need it the most. All of our pups deserve to be honored, but this Labor Day we’d like to share some of the most heartwarming stories of hardworking dogs from the past year. These nine pups stood out as amazing examples of how much our best furry friends do for us every day, and they deserve to be celebrated. The population of elephants in Africa is threatened every year by poachers who sell ivory on the black market. But thanks to dogs trained to detect ivory and contraband, poaching has gone down almost 75% in the last four years. 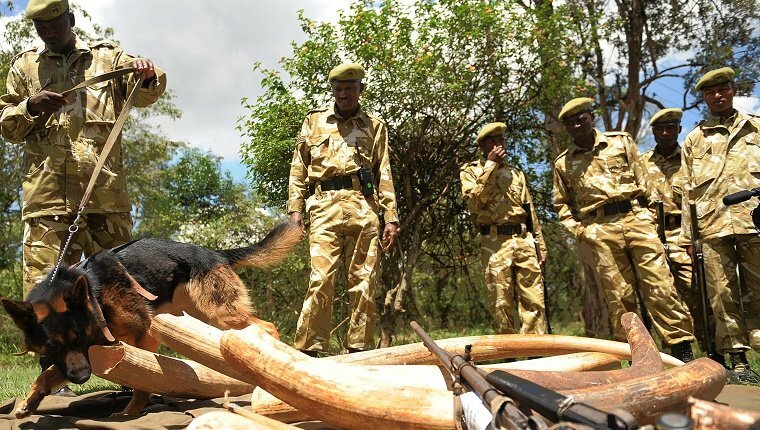 One dog, Ruger, busted 150 poachers in Zambia and more dogs are working in Kenya where a lot of ivory products are smuggled. Read the full story here! When Bandit the Pit Bull woke his owner, Kayla, up at four in the morning, she was covered in sweat and weak. 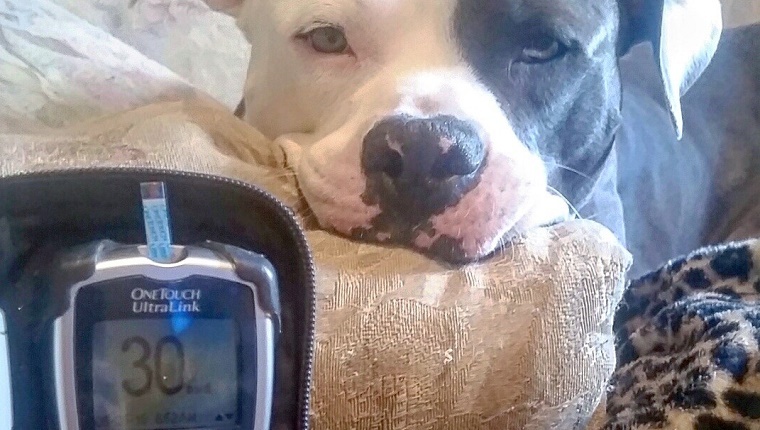 She asked the medical alert dog to bring her blood sugar meter, which showed dangerously low levels. She then told the dog to bring her some juice because she couldn’t get up. Finally, her blood sugar began to stabilize. If Bandit hadn’t woken her, she would have slipped into a coma and probably died. Read the full story here! James is a 9-year-old boy who suffers from a form of autism that makes it difficult for him to interact with others. He also has seizures that sometimes require medical attention. 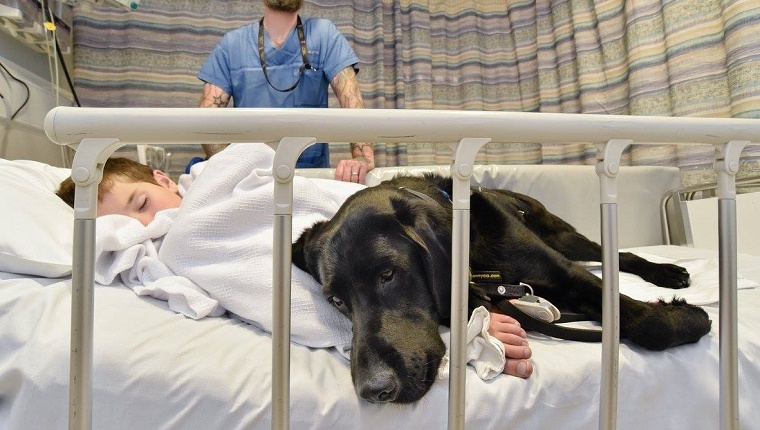 Mahe the black Labrador Retriever is not only trained to alert his parents when this happens, he’s also there to comfort James, especially during trips to the hospital. Thanks to Mahe, James has a best friend and an amazing guardian. Read the full story here! 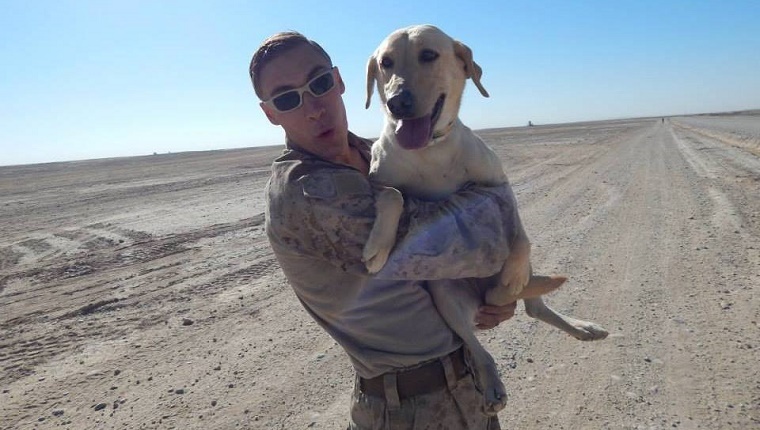 Marine Sam Wettstein worked with his bomb sniffing partner Belle, a top dog in her training class, in Afghanistan to keep others safe. Wettstein knew he wasn’t supposed to get attached, but after being deployed together, sharing a sleeping bag, and bonding, he couldn’t help it. When he returned home, he worked hard to adopt Belle. He found out that Belle was suffering from PTSD and wouldn’t work with other handlers, so the military allowed Wettstein to take her home. Now she’s enjoying retirement and learning to live a civilian life. Read the full story here! 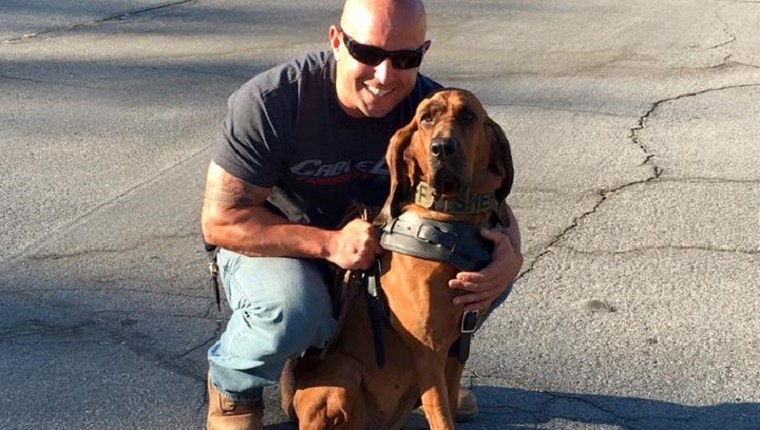 Déjà the K9 Bloodhound was called to the mountains of Rancho Cucamonga with her handler, Deputy Sheriff Josh Stone, in response to a call about a girl who had been kidnapped by a man and dragged into the woods. With only a dropped purse and some drag marks for clues, Déjà tracked the girl to a house where she was found and the man who kidnapped her was arrested. Read the full story here! 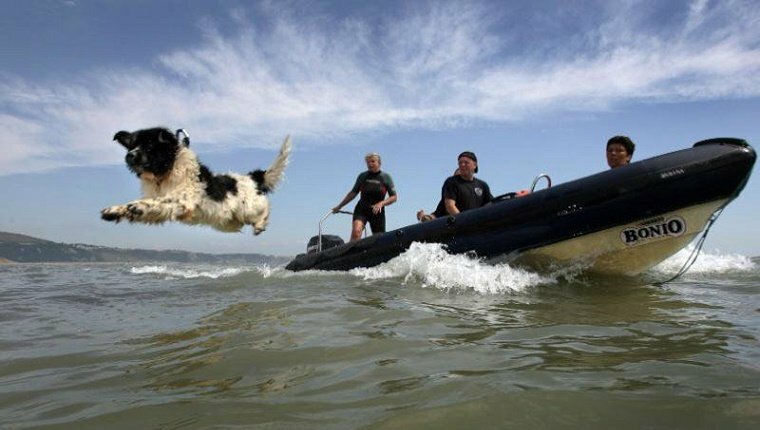 Whizz was a hero dog trained to save drowning people by pulling them from the water. Over the course of his life, he saved nine people and one other dog from drowning. Tragically, he passed away at the age of 12 this year. He was honored posthumously with the Order of Merit, an award given to dogs who show amazing dedication to their owners and society. Read the full story here! Andrew Hammond, like many first responders, has witnessed some horrific things in his time as an Ottawa police officer. He suffers from PTSD, but thanks to his service dog, Ruby, he has someone to comfort him. That inspired Hammond to create Centurion K9, a program that trains rescue dogs to become service dogs for first responders with PTSD. 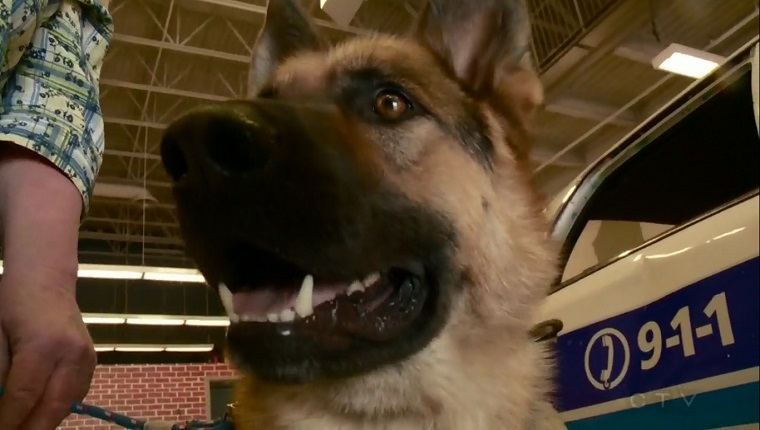 This year, there were four dogs in the program, but Hammond hopes Centurion K9 will grow to help members of the armed forces, as well. Read the full story here! Hunter VanBrocklin was diagnosed with cerebral palsy at age two. This year, as a fourth grader, he had to have hip surgery, which left him unable to walk. But Hunter’s Great Dane, Wendy, is helping him learn to walk again. She stays by his side, helping him balance and keeping him calm when he goes to the doctor. 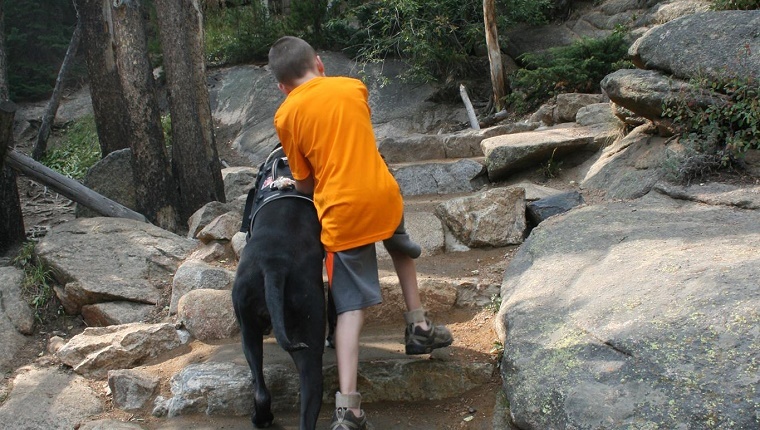 With Wendy by his side, Hunter feels like he can accomplish anything! Read the full story here! This year the city of Orlando suffered one of the deadliest mass shootings in the history of the United States. The horrific event left the survivors with their worlds turned upside down. 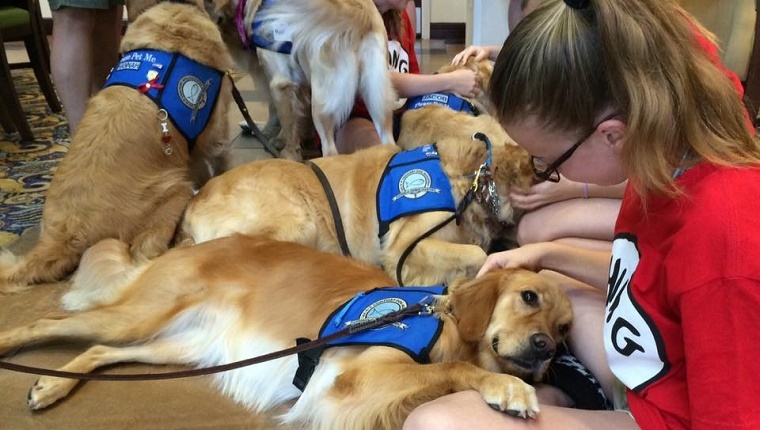 In response to the tragedy, 12 service dogs from all over the country flew with their handlers to Orlando to bring comfort to the victims and their friends and families. These dogs also responded to the Sandy Hook Elementary School shooting and the Boston Marathon bombing previously. They may not be able to heal all the wounds of these events, but even a small amount of comfort can provide victims with a moment of relief in hard times. Read the full story here! What other hardworking dogs from the past year deserve to be honored? Let us know in the comments below!